Similar to the computers, Android phones also need an external software to capture the screen.In this post, we have arranged the best screen recorder for Android phones, these screen recorders work similar to computers and record your phone screen. Why anyone needs a Screen recorder for Android?The answer is the most of the tech savvy Android users and blogger may start their own Android tutorial youtube channel. 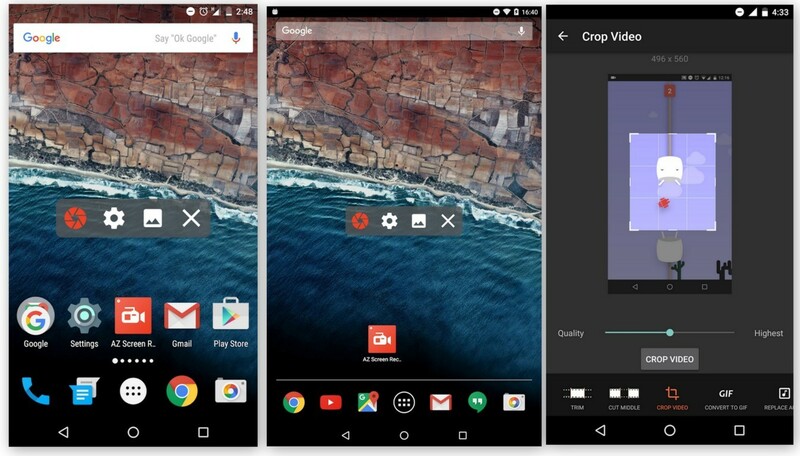 The best advantage of Android screen recorder is you can use Android phones Instead of using an external camera or computer, you can easily record the screen of your device directly with a host of apps on the Play Store promising to take care of this. Our team has done a research and selected the 10 best screen recorder for Android phones.Some of the apps are personally used by us in our own video tutorial which we will upload it soon on our youtube channel ewebtip TV. DU recorder is a high-quality premium Android app which lets you record your screen in high definition.DU recorder is my personal favorite screen recorder Android app.Our team uses DU recorder to making videos on Android tutorials. It provides you stable and fluid screen recording.With this screen recorder, you can easily record popular mobile game videos; you can record video calls with family and friends. 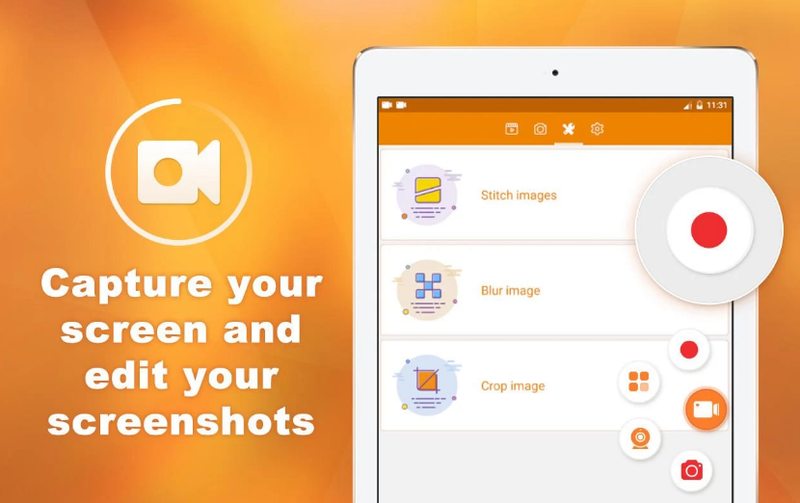 DU Recorder is not only a screen recorder for videos but also an app to capture screenshots and edit images. 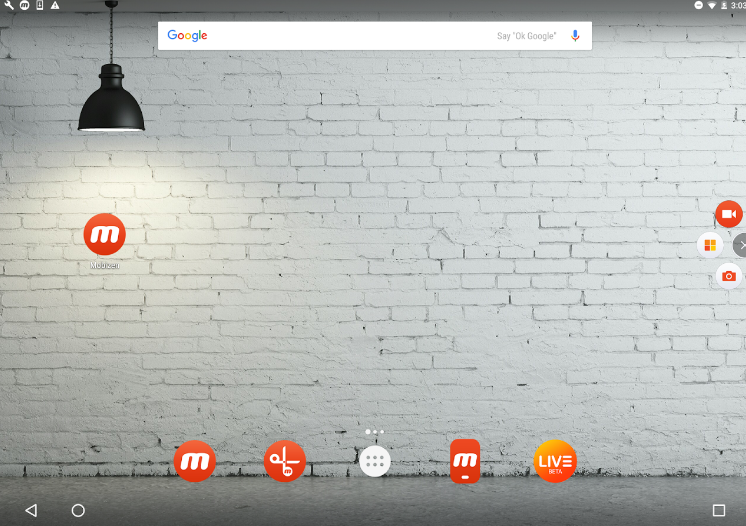 With DU Recorder, you can take a screenshot in just one click. With just one hand. No more double-press and hold. Quick and easy! You can also share your screenshots or use in-app image editing tools to stitch and crop local images. 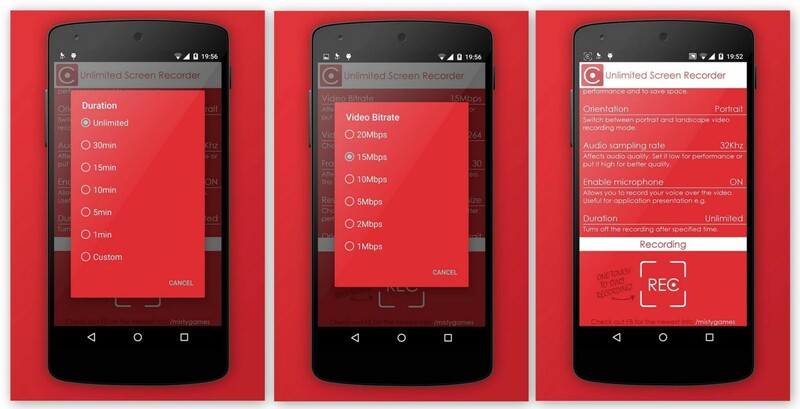 The second best screen recorder for Android phones is AZ screen recorder.It does NOT require root access, no time limit, no watermark, ad free and very easy to use with one action to start and stop recording.This screen recording app will let you make beautiful screencast videos by providing every feature that you need in a simple and elegant user experience design. AZ screen recorder lets you record your screen to HD and FullHD videos and it is the only screencast app in the Android market that can be paused and resumed while recording.You can also record audio from the mic and it is automatically mixed into the screencast videos. That makes it very convenient to create tutorial, promotional video, the comment about your game and gameplay or record video chat. 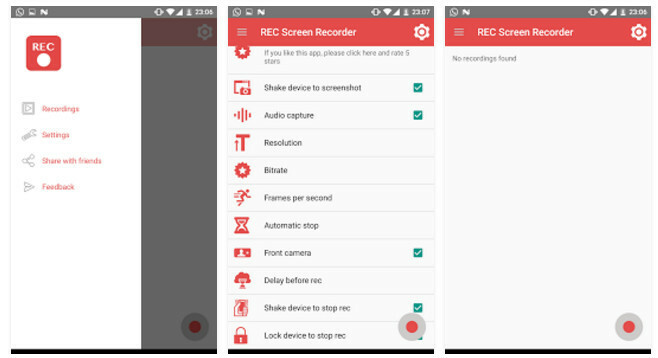 Another Android screen recorder is Unlimited screen recorder.Similar to other screen recorders, this app lets you record your phone’s screen for the unlimited time it doesn’t have any limitations.You can customize the settings according to your need such as video codec, resolution, and audio sampling rate. This app is completely free with no hidden charges so you can use this app to record all the Android tutorial for your youtube channel without hesitating.With one touch recording feature, you can record screen quick and easy.This app worries about your branding that is why your videos will be completely free of watermarks. Mobizen screen recorder is a popular Android app, this app allows you to record the screen of your Android phones for your personal use or for the Android tutorials for your youtube channel.Using mobile screen recorder app is quite easy, it has a similar UI(user interface) as DU recorder. The video quality is good, it captures videos in the highest quality with 1080P resolution.The best thing about this app is it doesn’t need any rooted device.In some situation this app record games and app videos in clear voice and reduce the noise which makes your videos more professional. 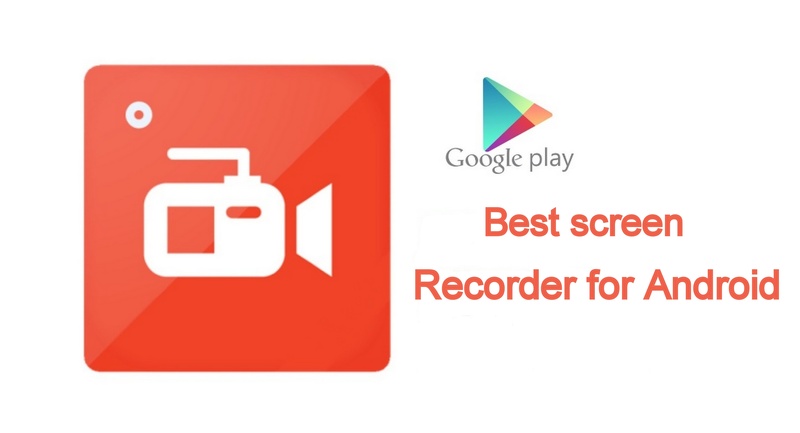 This screen recorder app is the last Android screen recorder of this list.Download REC Screen Recorder PRO for FREE to record your Android device’s screen seamlessly. REC Screen Recorder PRO provides ultimate user experience and technical superiority in screen recording comparing to our competitors. This screen recording app is easy to use and produce high-quality screen videos that you can use for just about anything.It is a perfect for gamers who want to record their gaming sessions to create tutorial videos, or even just to show off. An app developer will find our screen recorder app very useful to create an app video for their apps.